Item # 157147 Stash Points: 2,999 (?) This is the number of points you get in The Zumiez Stash for purchasing this item. Stash points are redeemable for exclusive rewards only available to Zumiez Stash members. To redeem your points check out the rewards catalog on thestash.zumiez.com. Keep your look casual with the Primary Stripe White T-Shirt from Vans. 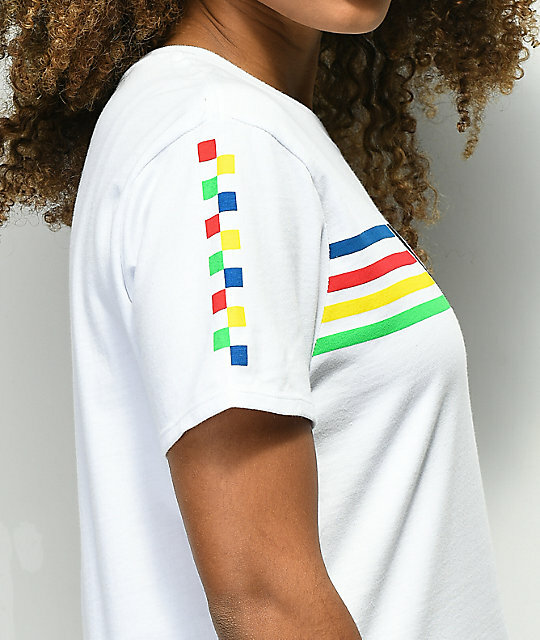 Featured in a white, 100% cotton, this boyfriend fit tee shirt is complete with a printed Vans logo at chest, and blue, red, yellow, and green stripes around the chest and back. 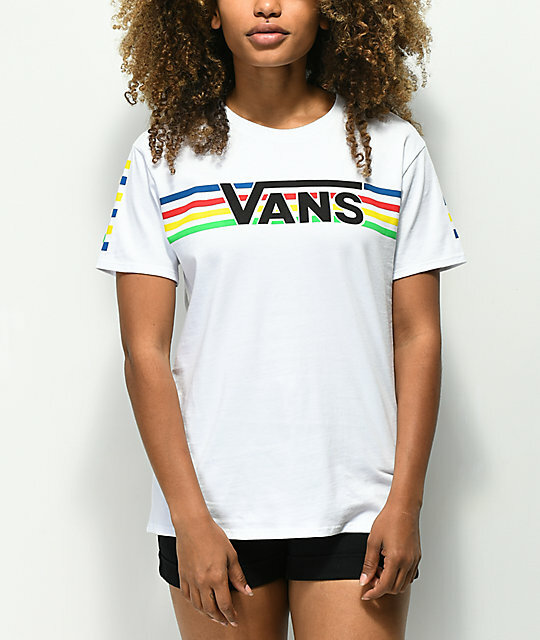 Add the Primary Stripe T-shirt from Vans to your closet for a classic and simple look. 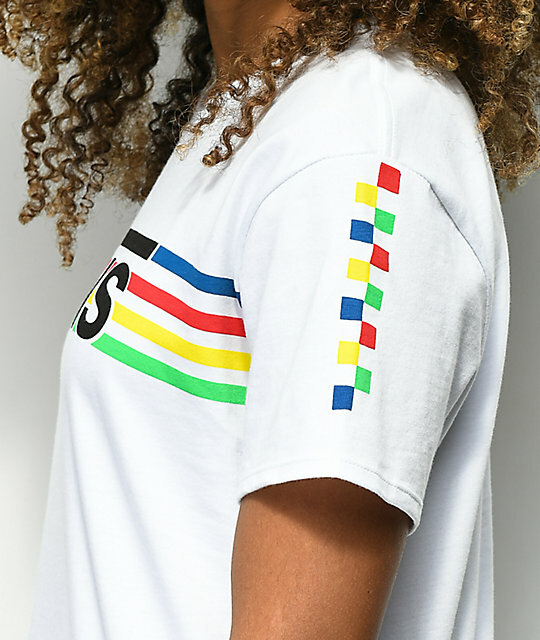 Primary Stripe White T-Shirt from Vans. 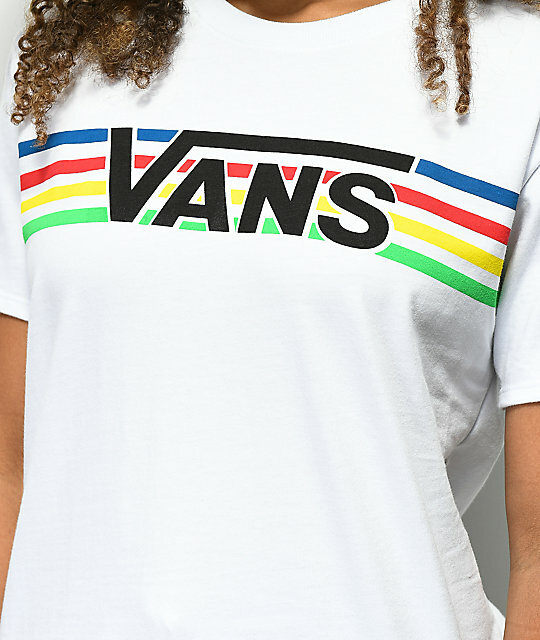 Vans logo and multi-colored stripe screen print graphics across chest and back. 25" (63.5cm) from top shoulder seam to bottom hem.